More than 150 progressive leaders and groups are lining up behind Rep. Ilhan Omar amid intensifying attacks from the right over her controversial comments about the September 11 terror attacks. 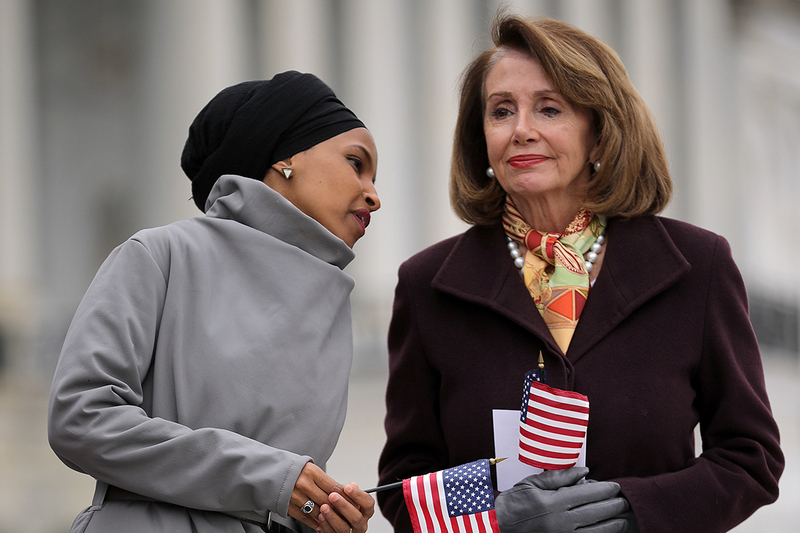 Their “solidarity” letter comes a day after Speaker Nancy Pelosi asked the U.S. Capitol Police and the House sergeant-at-arms to conduct “a security assessment to safeguard Congresswoman Omar, her family and her staff,” following a Twitter post from President Donald Trump that Omar said has sparked threats against her life. “The attacks aimed at Rep. Omar are beyond the pale,” the liberal activists wrote in a letter obtained by POLITICO. “Far from legitimate disagreements and critiques, there are intentional efforts to spread misinformation and incite fear and hate in the hearts of people in this country. These are blatant attempts to divide and distract us, while Trump and the GOP undermine our democracy and enrich themselves and their friends. Monday’s letter called Omar (D-Minn.) a “visionary and inspiring leader,” and it was co-signed by leaders of the American Federation of Teachers, Demos, Indivisible, MoveOn, and the Working Families Party, among other progressives. Democratic presidential candidates quickly came to her defense over the weekend after Trump posted a video on Friday that called attention to Omar’s remarks that Republicans panned as having downplayed the 2001 terror attacks. Omar, one of the first two Muslim women elected to Congress in 2018, has become a frequent target of the GOP in recent weeks for her criticisms of the Trump administration and her comments about Jews and Israel, which members of both parties said were anti-Semitic.